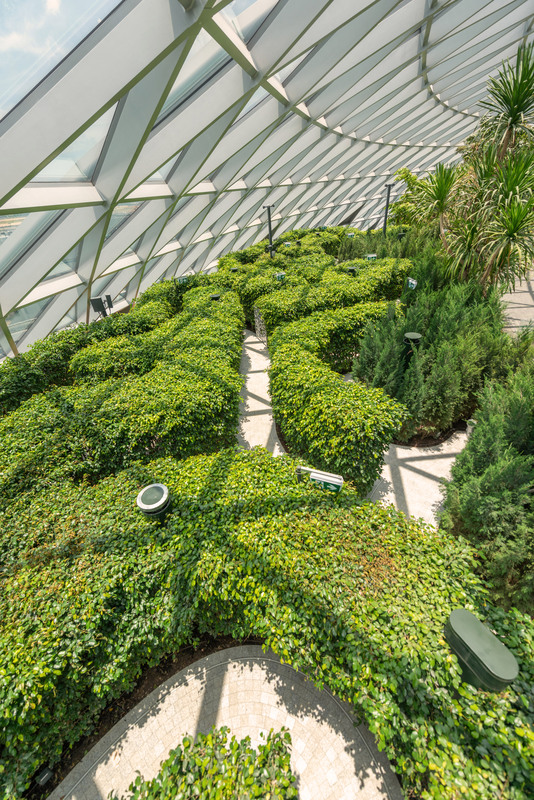 An indoor forest sits under a large glazed dome with a rainwater waterfall running through the middle at Singapore‘s Jewel Changi Airport by Safdie Architects. Safdie Architects led a consortium of architects and designers to build the five-storey plant-filled greenhouse filled with shops and public spaces, which opens to the public next week. The glass bagel-shaped building is connected to the city’s transport systems and directly to airport terminal one, as well as terminals two and three via pedestrian bridges. It has five stories above ground and five more below. Called the Rain Vortex, the 40-metre-high indoor waterfall is the largest in the world and can channel 10,000 gallons of water a minute. 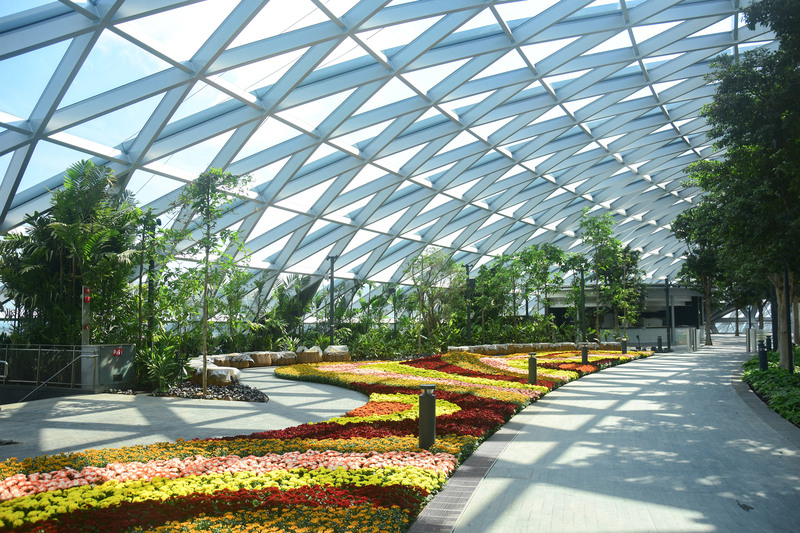 “The Jewel toroidal inverse dome creates a new kind of spatial experience, a daylit vast landscaped garden, combined with seven levels of shopping and airport facilities,” said Moshe Safdie, founder and principal of Safdie Architects. Fourteen tree-like columns and a ring beam support the domed roof, which is formed of a continuous grid shell supporting panes of high-performance glass. This glass is designed to maximise the light that reaches the building while preventing it from getting too hot inside, to ensure that the plants have the ideal conditions to grow in. Each glass pane has a 16 millimetre gap to absorb the noise of aircraft taking off and landing, and was tested extensively to make sure it wouldn’t cause any distracting reflections for the air traffic controllers. During rain storms water is collected to used to feed the world’s tallest indoor waterfall, which flows from a central oculus. This water is collected and used to irrigate the gardens in the building. 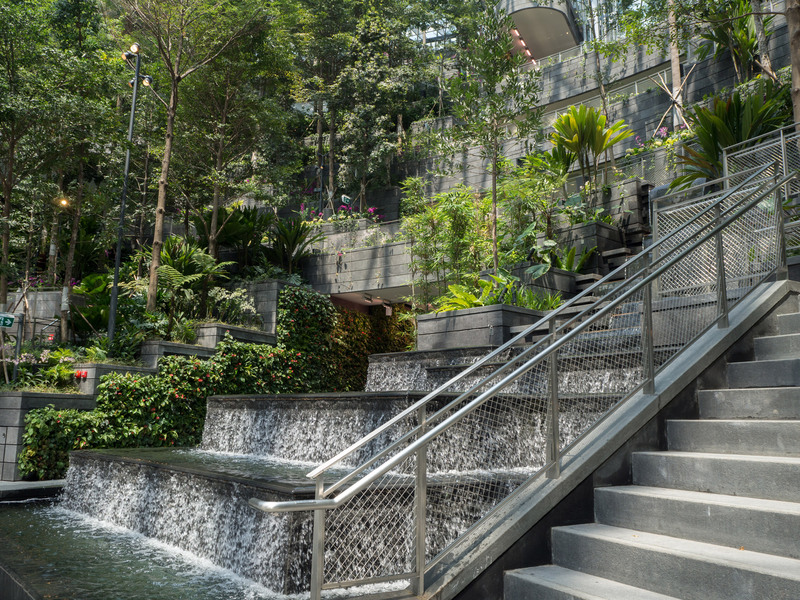 Five levels of shops surround a terraced garden called the Shiseido Forest Valley that also features several smaller waterfalls, that are accessed via two trails that climb 30 metres in elevation. The Shiseido Forest Valley is reached from the main retail area through a series of “canyons”. 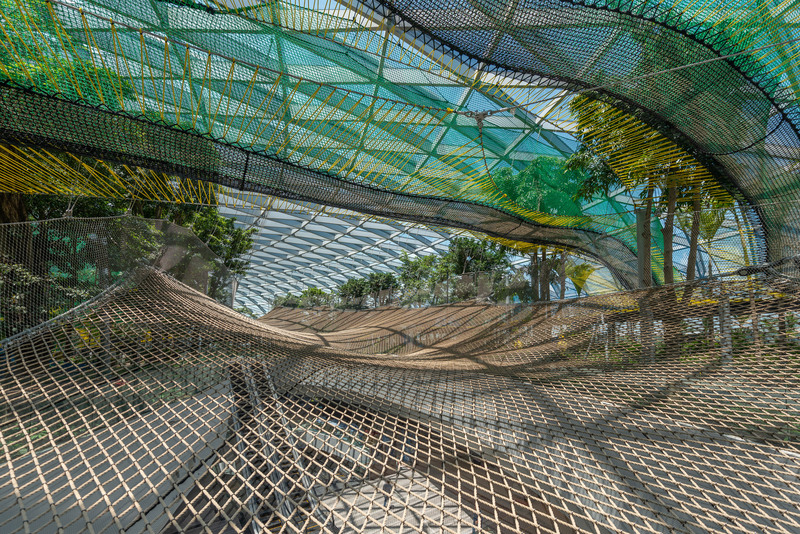 On the fifth level the 14,000-square-metre Canopy Park features attractions including a hedge maze and a netted play park, as well as an events area called the Cloud9 Piazza, which has capacity for 1,000 people. Safdie Architects, which was founded by Israeli-Canadian-American architect Moshe Safdie in 1964, has recently announced plans to add a fourth tower to its existing Marina Bay Sands hotel in Singapore. In a recent interview with Dezeen, Safdie said architects needed to become “more versatile” in response to climate change, so their buildings can respond to more extreme environments. Waterfalls have been incorporated in many buildings including a 121-metre-tall skyscraper and a house in Costa Rica. 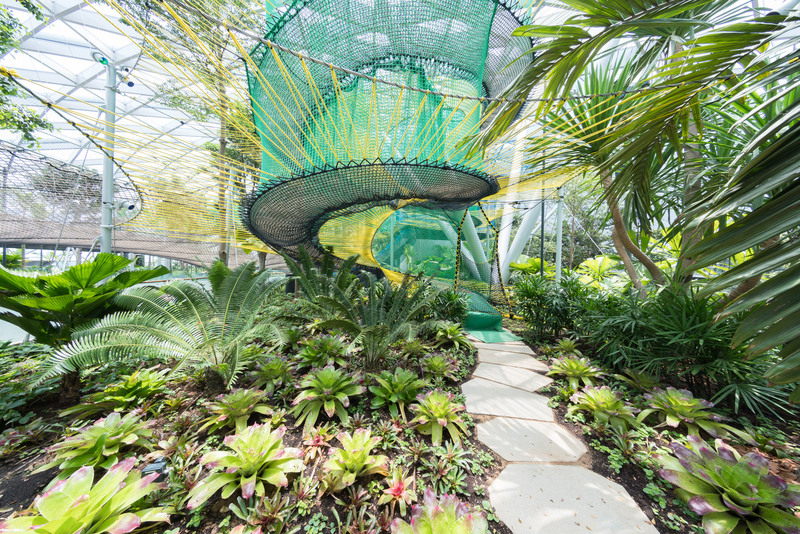 Also in Singapore, the Gardens by the Bay development by Wilkinson Eyre has an 30-metre-high waterfall inside a green house. 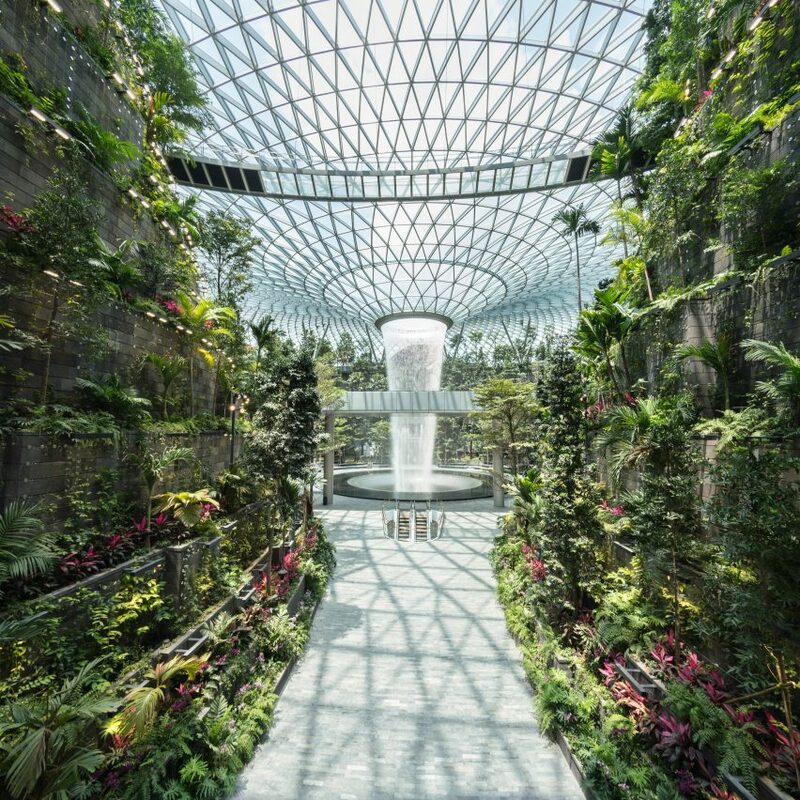 The waterfall at Jewel Changi Airport will lose its title of world’s tallest when the Eden project in China designed by Grimshaw, which will have a 50-metre-high waterfall, completes in 2020. Photography is courtesy of Jewel Changi Airport. 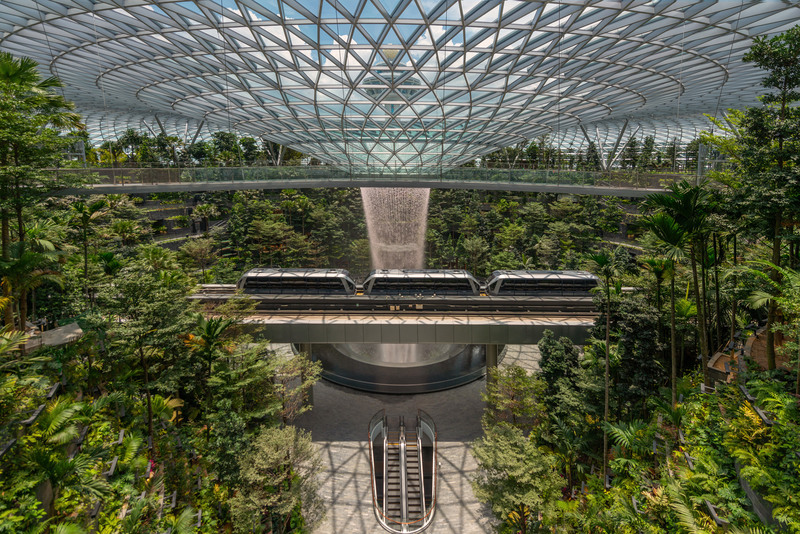 The post Safdie Architects completes world’s tallest indoor waterfall at Jewel Changi Airport appeared first on Dezeen.